what is the greenraven you're talking about? The anti-greenraven agenda of the PJ administration has never been more transparent. Just to clarify - even though the max dimensions are in a 2x1 ratio, a 120x120 piece would still qualify, correct? Yeah. The common sense is always good. We are not lawyers after all. I have been waiting for a challenge where I can focus on drawing a tree. So I will definitely participate in this one. imo if it looks green by itself you shouldn't use it, but at a very low saturation it's hard to tell hue anyway. using a colour which is perceptually green is fine. But yeah, just obey the spirit of the challenge and you will be fine. I would assume any color that by itself or in combination with other colors creates the effect of green is forbidden. What kind of green color is meant? 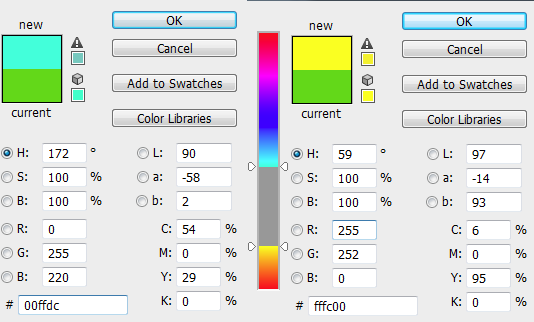 Does it mean all colors with G component higher than R or B components? Is this color green: http://imageshack.us/a/img268/929/751r.png? What if accidentally use green color in hue-shifted browns?